To teach students about density by showing that denser salt water will make an egg float. Does an egg float better in freshwater or saltwater? 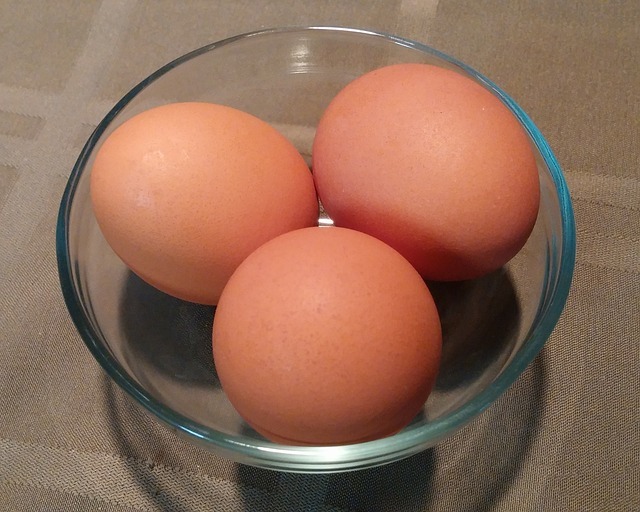 To begin your floating eggs experiment, fill your two containers with water. Make sure the amounts are equal. Use the measuring spoons to pour seven tablespoons of salt in the first container of water. Do not put any salt in the second container. Stir the container of water until the salt is completely dissolved. This may take a couple of minutes. Gently place one raw egg in each container. Watch the eggs for a few seconds. What happens?